Hibiscus - The free screensaver, Hibiscus, was created by RateMyScreensaver.com and contains 26 high resolution images of the Hibiscus plant. 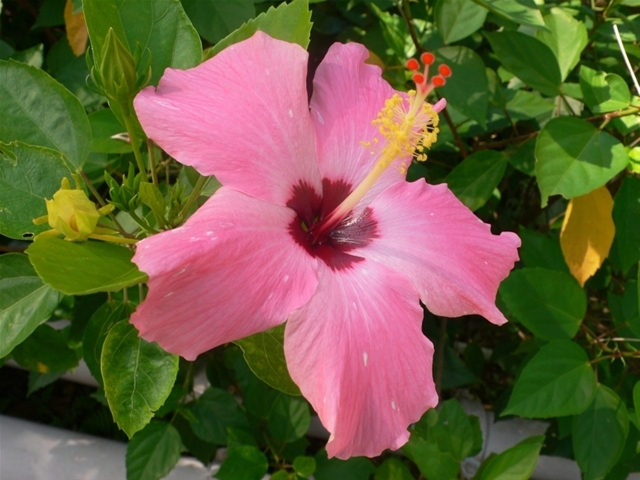 Hibiscus or Rosemallow is a large genus of about 200-220 species of flowering plants in the family Malvaceae, native to warm temperate, subtropical and tropical regions throughout the world. The genus includes both annual and perennial herbaceous plants, and woody shrubs and small trees. ...... trees. The leaves are alternate, simple, ovate to lanceolate, often with a toothed or lobed margin. The flowers are large, conspicuous, trumpet-shaped, with five or more petals, ranging from white to pink, red, purple or yellow, and from 4-15 cm broad. The fruit is a dry five-lobed capsule, containing several seeds in each lobe, which are released when the capsule splits open at maturity. Qweas is providing links to Hibiscus Screensaver 1.1 as a courtesy, and makes no representations regarding Hibiscus Screensaver or any other applications or any information related thereto. Any questions, complaints or claims regarding this application Hibiscus Screensaver 1.1 must be directed to the appropriate software vendor. You may click the publisher link of Hibiscus Screensaver on the top of this page to get more details about the vendor.